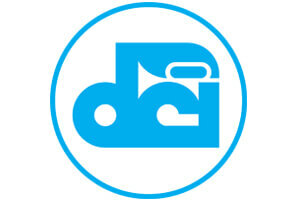 Drum Corps International seeks a qualified full-time Ticketing Manager for its Indianapolis headquarters. The Ticketing Manager serves as integral part of this event management and promotions-driven organization. The Ticketing Manager is first and foremost focused on developing superior customer relationships while overseeing the coordination of sales, service and reporting for tickets sold for more than 60 summer season events throughout the United States; utilizing Ticketmaster at some venues and our own in-house system for all other events. These functions may include the recruitment of volunteers, training and supervision of Drum Corps International-led box office personnel, reconciliation of ticketed events, set up and maintenance of events, preparation of financial reports in connection with all activity. Also handles customer relationships, client interaction, and coordinates and manages special promotions. This customer service driven person has excellent written and oral skills, with demonstrated interpersonal and organization abilities. The Ticketing Manager works in varied, fast paced environments where problem solving skills are a necessity. Extensive travel may be required during the summer months.